Private investigators can be useful if you need information about your partner that you find it difficult or impossible to obtain by yourself. There are a number of ways both legal and illegal, in which private investigators can go about obtaining proof of infidelity, the existence of hidden bank accounts and other information that may not be out in the open. If you petition for divorce on the grounds of adultery, then unless your partner admits to it, you will need to provide evidence. A direct approach would be for an investigator to knock on the couple’s door and interview them on their sleeping arrangements. Or they could spy on the couple and make a record of when they go to sleep and when they get up. Other evidence like letters, diaries, photographic or recorded audio evidence can also be obtained if desired. If your partner has moved out but you want stronger grounds for divorce than separation, you could hire an investigator to obtain proof of adultery. A good private investigator will be aware of the Data Protection Act and related laws, and will work within them. If you want to bug your partner’s phone, for example, you may be better protected doing it yourself than asking a P.I., although a P.I. should be able to tell you where to buy a decent bug. Generally if you file for divorce on the basis of unreasonable behaviour, you will not have to provide proof unless the case is fully defended. If you choose to, you can hire an investigator to prove your partner is being violent. They could even visit your home and let your partner know. You set the parameters and a good private investigator will not stray beyond them. You might also want to prove your partner is habitually neglecting the family, or that they are verbally abusive. They might drink and drive with the children in the car. Unreasonable behaviour can also cover extra-marital sexual activity or close association that falls short of adultery. Hiring a private investigator to prove these facts can save you the pain of having to question your partner or delve into it yourself. A common reason investigators are hired in divorce cases is to obtain proof that a husband has hidden bank accounts or other assets from their wife. Information like bank balances can be obtained in a number of ways. If the investigator hacked into a computer to get the information it would be classed as “blagging”, which is illegal. But if someone told them or they just happened to guess the bank balance, it would not. A range of options are open to an investigator, so you should discuss in detail how you want the investigation conducted when you hire them. Similar laws apply to acquiring other information such as ex-directory telephone numbers and a host of background information like schooling and family trees. You might also want to find out if your partner has any convictions, or obtain information about their former partners. A good private investigator will be able to dig up a surprising amount of information, whether or not it directly applies to your divorce. How Much do Private Investigators Cost? Private investigators usually charge an hourly or daily rate, but can also be commissioned to obtain a piece of information for a flat fee. A good investigator will have their own equipment and will not charge you unless you require something unusual. 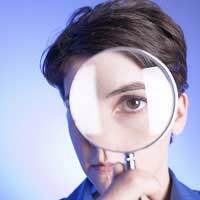 Private detectives are unregulated so there are a number of associations and bodies in the UK with which different companies are affiliated. @Matty - keep well away. You are in a destructive cycle that can only end badly. You cannot try to control a person by checking on them and if you feel this insecure, then you are always going to feel this way. You may think you love her, but in reality you want to control her and ruin your own life in the process. It's a bad move to go back. In your article here about hiring a PI, I noticed this line, "A good private investigator will be aware of the Data Protection Act and related laws, and will work within them. If you want to bug your partner’s phone, for example, you may be better protected doing it yourself than asking a P.I., although a P.I. should be able to tell you where to buy a decent bug." Put simply, bugging someone's phone is illegal. It's that simple, you cannot advise people to even think about such an action as that could be construed as inciting criminal activity. Just ask News Of The World,.. ah, you can't can you. It is legal to fit a conversation recorder to your own phone but to use that as evidence in court, callers and those called, must be told that the conversation is recorded, as required by the Data Protection Act.